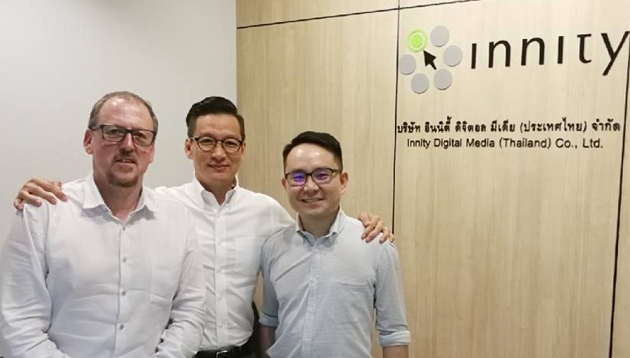 Digital marketing consultancy firm FiveStones has entered into a joint venture with digital media solutions and marketing technology company Innity, to increase the latter’s presence in Southeast Asia. This will be done by enhancing FiveStones’ services and offerings on ad technology, as well as provide Google Marketing Platform consulting and support service to clients. Cavan Downes (pictured left) has been appointed as general manager to manage operations in the Southeast Asia region and will be based in Singapore. Downes will manage the business operations of Fivestones SEA, lead and build the teams in different countries, while working with the existing management team to pinpoint potential new markets and commercial opportunities throughout the region, according to the company. He was previously with DoubleClick, Epsilon and Current Asia, and worked with clients such as Rackspace, JLL and HPE. A+M has reached out to Innity for additional information. ”It’s a brilliant time to be joining FiveStones with the rapidly growing market for digital advertising in the region. I’m grateful for this opportunity and excited to start a new challenge within an expanding organisation,” said Downes. “Downes brings a wealth of experience and knowledge spanning digital marketing technology, media strategy, and also building and leading multi-cultural and multi-discipline teams. We are confident he will be a great addition and will bring onboard immense value as we accelerate the growth of FiveStones in Southeast Asia,” Alex Yeung (pictured right), managing director of FiveStones, said. Samsung again tops YouGov BrandIndex’s annual brand health rankings for the Philippines. In a list featuring a large number of glo..